Some may criticize me for making engineering look like cupcakes and daisies. I happen to love cupcakes…(just saying). But thats not really the point, is it? The thing is, I started blogging to show what my life as an engineer was really about. So I thought a lot about this the last few days and decided that my critics are right. Dressing engineering up in pink icing isn’t really going to help anyone, right? I do love my job, but sometimes it can be really, really tough! On the other hand, I can only comment on my experience so far, so how about we take a break from all the cupcakes (what, no more cupcakes!?!) and take a reality check? Unless you did a masters, most young engineers will graduate and head straight into their first job. While this is exciting, its also a departure from the lifestyle you enjoyed as a final-year student. By the time graduation comes along, students are pretty comfortable within their faculties. Most of the lecturers know you by name, and due to spending an obscene amount of time on campus, the engineering building is your home, and your classmates your family through tears and sleep-deprived delirium. Its also likely that you will be involved in some sort of society or organisation and would have worked your way up to a leadership position. When you start work, you enter a brand new organisation right at the bottom. You have no idea how anything works, there are a ton of new rules you need to become familiar with, and have a structured hierarchy of which you barely scratch the bottom. Its a scary and humbling position to be in that doesn’t afford much of the freedom you grew comfortable with at Uni. Well, there is no use denying this one. The majority of engineering firms (mines, utilities, factories etc.) are either on the outskirts of the city or deep into the far regions of nowhere. Whether its the Northern-most territories of Australia, an oil rig off the coast of freezing-cold Norway, or a diamond-mine in the darkest reaches of the Congo, to get real, down-and-dirty field-experience, you will have to leave the city. There are exceptions to this rule of course, and if you go into a consultancy or design firm, you may very well end up in a Sandton office. Regardless, you will have to at least sometimes go out to site to see the environment you’re designing for. What nobody tells you (or they do but you think you’re so tough that it doesn’t matter to you), this is really difficult. After having lived in beautiful, vibrant cities most of my life, living alone out here does get VERY lonely. On the plus side is that engineers sent to far-out areas mostly earn more, and get great experience that can catapult your career to great heights. Nevertheless, being a woman alone out here day in and day out gets very draining. You really have to learn to be super strong and independent (which isn’t a bad thing). At University, there is always some way of weaseling out of a sticky situation. If for some reason you really couldn’t get around to finishing that homework assignment, there was a friend to bail you out. Lecturers expected you to be tardy at least some of the time, to fall asleep during class and to distract the room with a loud peal of laughter in the middle of advanced heat transfer (I did none of these things of course! 😉 The environment is relaxed enough for you to know that its unlikely that you would do anything that would get you into real troub;e (apart from failing). In the working world, you’re afforded a very short ‘grace-period’ before you’re given responsibilities of increasing importance. The work you do will not simply be ‘graded’, but will be directly linked to the pace of your progression through your organization. Its a scary feeling knowing that the things you do will affect real, tangible things and other people. In the beginning there are always going to be people to help you, and the toughest lesson I’ve found is learning to ask for help when you need it! Instead of structured design problems with clearly-defined parameters, real-world engineering problems are vague and open ended. You may be given a problem to solve and a hint as to where to find the cause of the problem. Sometimes, the REAL cause has nothing to do with that initial assumption. It can be a little like walking around in the dark. Because you’re new, there is still so much you need to learn to be able to navigate. In the beginning, you basically just feel your way around until you bump into something solid. You may be given fragmented bits of information to direct you, but its really up to you how you go about getting the rest of the information you need. Knowing what information you need is probably the hardest part of all! In my (very short) experience so far, information was always there. Stored on somebody’s hard drive, office, or heads…you just needed to figure out who the right person was to talk to. Ok, so at first engineering isn’t as scrumptious as we all might want it to be, but it is a highly rewarding career. Once you’ve finished running the rat-race and have settled in, life gets a lot easier (or so I’m told). No really, engineering is a field where the hard work you put in are proportional to the benefits you enjoy later on. It may not be for everyone, but there is so much scope out there to find an aspect of engineering that you will love. I guess you’ll never know unless you take that first bite. Ok, I admit. I just wanted an excuse to blog about cupcakes. What? Engineer-Chic is a Sexist? GASP! It seems I’ve been quite naughty of late-warranting some criticism on Twitter for my overly sexist remarks, sweeping generalisations (and poor spelling on my blog), so I have to apologise profusely for the spelling. About the sweeping, sexist remarks-I’m not all that sorry-in fact, I quite enjoy rubbing you boys up the wrong way. It got a reaction, which is half the point anyhoo…(and that’s not a typo, I actually wanted to say anyhoo). The comment that got me in trouble was an assertion I made that women are better communicators than men. I did back this up by a solid spot of research, Do women make better marketers than men?, but was speaking more from my own (admittedly limited) personal experience. The scenario I tweeted about was an observation I made in a meeting that I sat in on yesterday. A specialist consultant was brought in to optimize the design of our grate for the Phase II plant. The grate had given a number of problems over the years on Phase I and subsequent changes were made. Four chemical and mechanical engineers spent about an hour trying to explain what the exact problem was to the specialist, but again and again, the specialist kept saying, “I don’t quite understand your key objective in what you want from me.” I must admit, with the amount of information that was presented, I had trouble keeping up, so I understand the poor man’s frustration. So another hour followed of hand-sketches, (engineering scribbles we all are very fond of), CAD models and drawings before our technical manager, a female chemical engineer came into the room. She clearly and concisely explained the relevant history, pinpointed the problem area, and explained-importantly-what the specific goal was to bring the specialist in in the first place. From there it was all smooth sailing and soon we were all off to the plant for a site-visit. I love site visits. Apart from being an excuse to wear my shocking pink hard-hat, I get to chat with the foremen and artisans and get all the gossip on what machine has broken down and what they had done to solve the latest problems on the operation. So back to my sweeping statement that women are better communicators than men. I’m afraid I can’t prove that one with just one example. My first year of vac-work though, my mentor engineer said that since the evolution of the profession to being more collaborative-with team-work and multi-level contribution becoming more recognised, the influx of women-who bring charisma and a natural tendency towards relationship building-was a highly positive and even necessary dynamic. One last thing I’d like to point out in response to what a friend JW tweeted, “its still a broad generalisation based on gender. I couldn’t say something similar even with research without angering women”. Whilst this may be the case in some specialisations, countries or companies, in my specific company, country and field, as a woman one simply can not be overly sensitive to sweeping generalisations made on women. If I got upset every time someone did this, I wouldn’t survive in my job. Instead of complaining and burning my bra, I choose instead to do my job the best I can (and then blog about it so that everybody knows that I did all that tough stuff without a sweat). I’d like to take a short break from engineering, marketing and all other serious topics and share a little about my experience living in rural South Africa. I live in a farming community deep in the Mpumalanga Lowveld amidst beautiful mountains in a valley full of citrus orchards. Just around the corner however, is the base of the Ingwe Leopard Project. 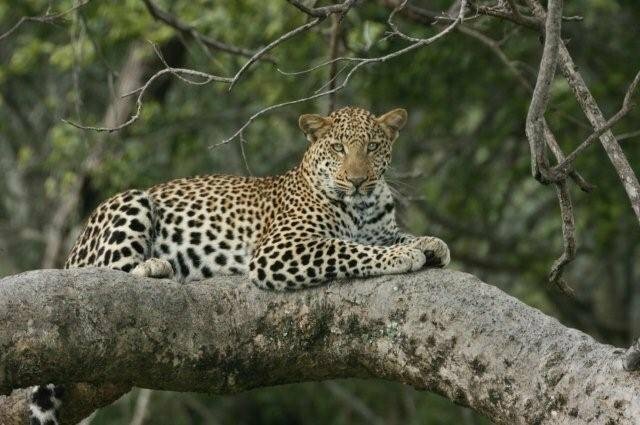 Friends of mine, conservationists Emma and Anton are researchers who are leading the effort to stabalise leopard population numbers in the area. Apart from tracking leopard behavior, they run an education program for farmers who kill leopards thinking them menaces. 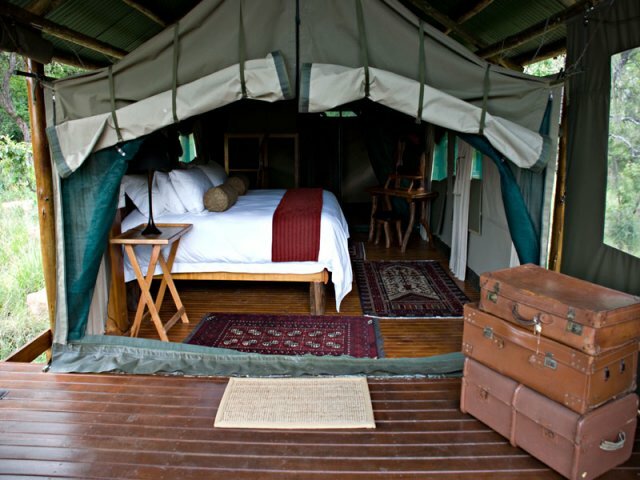 I spent the weekend with them and their current volunteer house sitting the luxury tented Black Leopard Camp. 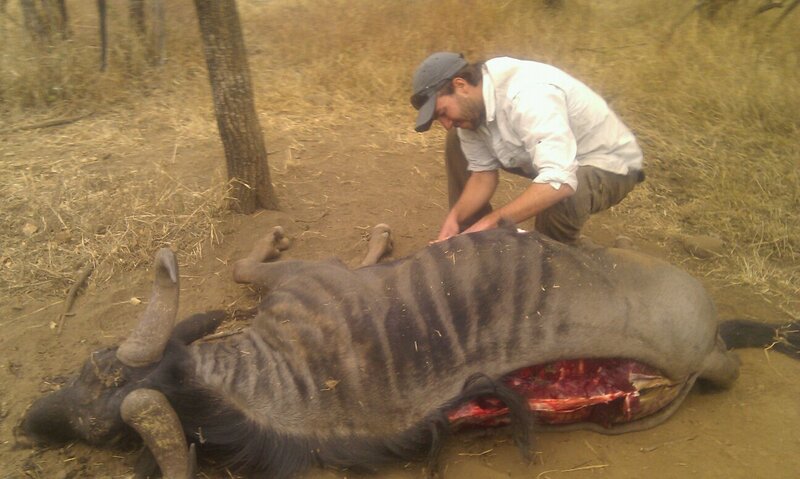 The weekend started off with arriving at the carcas of a wildebeest that Anton had shot. The animal had a hernia and was suffering quite a lot. Also, in the same area, a leopard had recently given birth to three adorable cubs. Anton hoped that the kill would increase the chances of the cubs surviving. Just one in 6 leopard cubs survive to adulthood and the mother will leave them for days on end in order to find food. 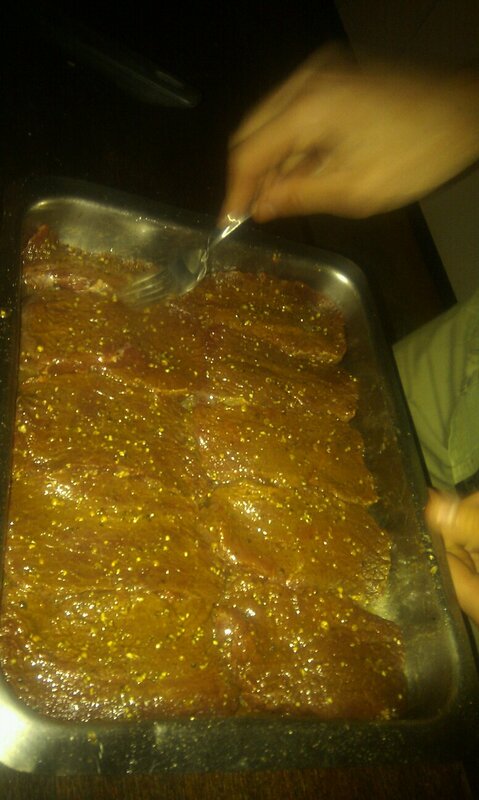 We took a few fillets for supper, which was spent around a roaring fire at the bar. Saturday was spent hiking a mountain to scout leopard activity and place GPS coordinates on the far corner of the park. This tiresome task took about 5 hours (and did I mention involved climbing a mountain?) but the exercise was great. We saw a number of animals and birds and the view was spectacular! I’ll post the pictures at some point. We discovered that that area of the park had very little leopard activity, which was useful anyway. The work that Ingwe have done is truly amazing. Their camera traps have aided in tracking the local leopards that inhabit the area and their research will help to conservation planning, especially in farming communities in other places. Their volunteer program allows conservation-enthusiasts from all over the world the chance to experience South African conservation first-hand. Currently, Daniel from Brazil-a jaguar-conservationist from Brazil is at Ingwe. Do Women Make Better Marketers than Men? And back to MARKETING we go. As one reader pointed out: marketing is not advertising. Marketing is about segmeting your target market, doing research into that target market, their wants, their needs, and upon discovering those wants and needs, miraculously filling a lucrative gap in the market by developing a product tailored to meet all the needs of that target group). So far, my engineer’s brain is going, “tick!” Makes sense. There is a need, there is a gap, you fill the gap and get rich. Ok, so now I propose a shocking and totally new idea: Women are better marketers than men! “There is, perhaps, no more important skill for a marketer than empathy. While the media and outsiders tend to perceive marketing as a matter of spin and persuasion, the reality has always been different. It is fundamentally a challenge of understanding. Yes, later on we create advertising and packaging and other rhetorical tools, but the primary issue for all marketers is to understand their consumer and bring that understanding into the organisation. Without this basic empathy for the target market, our marketing efforts are probably going to be in vain. Starting/ running an engineering business. This week I have been going through piles of tender applications for different companies that want to be awarded various contracts for the project. An attractive package that includes all the basic information already gives a positive image of the company. Companies that have taken the time to go through our requirements and tailor their applications to align with our needs (relevant information and personalised cover letter) really stand out. You’re left thinking-they will give us what we’re looking for! All the above things are not technical in nature-but will likely score your company higher! Landing that job. As with the resume, during your interview, the interviewers are looking for several key things. One of them (especially in client-facing environments) is how you come across. Another is if you are a good fit for their company. Marketing yourself appropriately for different posts and different companies is key to success. For example, I was offered jobs for a engineering (mining) firm and a marketing (fast moving consumer goods) firm. Both interviews were tough, but each were looking for totally different things! I had to adapt not only what experience I chose highlight, but also the way I spoke, dressed, answered questions based on the values of each company. Blogging/ Website design. Need I say more? Ok, ok. The fact that you’re reading this right now shows that I’m doing something right. My passion is outreach. I just enjoy sharing a little bit of my world with others, and hope it inspires others to reach for their dreams. Blogs are a great way to make money though, and if you can write about something technical, you may just find a market for it! But take it from a blogger who has been through the gauntlet with readership-marketing is a huge part of it. Selling inventions to clients/ your boss. I recently met someone who worked in the IT wing of a major bank. He had a young team under him that was made up of computer sciece majors, engineers and business science majors. One thing that he mentioned was that the engineers in his team consistently came up with great ideas, but really struggled with convincing others it was a good idea at all. Their presentation skills were poor, and they lacked the ability to sway the team’s opinion on things. Whether you are selling an invention, idea in a brainstorming session or just a minor change to the way a process works on your plant, good marketing is imperative! Getting involved in a project/ out of it. If you want to be moved onto a project you like, you can sell the team leader the idea that more people would be advantageous, or that your skills could be beneficial to them. Similarly, you can weasel your way out of one using the same skill-set. Sneaky EcoHawk-very sneaky! But I like the idea of taking the initiative to make sure you are enjoying what you do! Wow! All of these points are really critical to your success in a career. And we’ve read how women have a natural, phisiological advantage in these spheres which require good marketing skills. I do believe that there are a great number of women out there who are already tapping in to this. If you have used your feminine gift of intuition and empathy to market your way to success, write to me and tell me how you did it. I’d love to post it. Before I circle back to my follow-up post on engineers and marketing, I want to write about something interesting that happened at work. Various companies have sent in tenders (basically really detailed quotation of a request to supply) for the different components of the project. This is quite an involved legal process and right now, we’re busy adjudicating the tender (going through the quotation and deciding which vendor to go with) for one of the biggest packages of the whole entire project. Lets put it this way, if the project was to build a car, then this particular tender package would be the engine! So I’m trying to draw up comparison tables for the different vendors’ tenders, comparing piston against piston, seal angainst seal-and I notice that one of the suppliers has left out the cost for one of the most critical features of the…er…engine. Basically, they quoted for the design of the…lets say crank shaft. But they didn’t quote for the actual supply and installation of the crank shaft. This is weird. Why would they not quote for such a huge and critical component? So I give the supplier a call and he adamantly tells me that the information we gave him for the specs of the engine specifically states that the vendor was to do the design and only the design of the crank shaft! He refers me to the annexure he talked about. I sift through the document several times (and this document is about 500 pages long) but cant figure out what this dude was going on about. The other vendors got it right, they had quoted us for the installation as well! Under the section titled ‘exclusions’ (things excluded from the package) the spec document we sent him stated something to this effect: ‘The vendor will not supply the crank shaft and piston pins, although the design for these components will be included in the package as the vendor’s responsibility’. The vendor had read that neither must the crank shaft nor the piston pins be supplied, although we had meant that the crank shaft pins and piston pins must not be supplied!!! What a mess, but it all worked out in the end…And thank goodness we spotted it early! Imagine getting your car delivered to you and then realising that for some reason, the crank shaft had been left out! Posted by EngineerChic in Marketing Yourself! 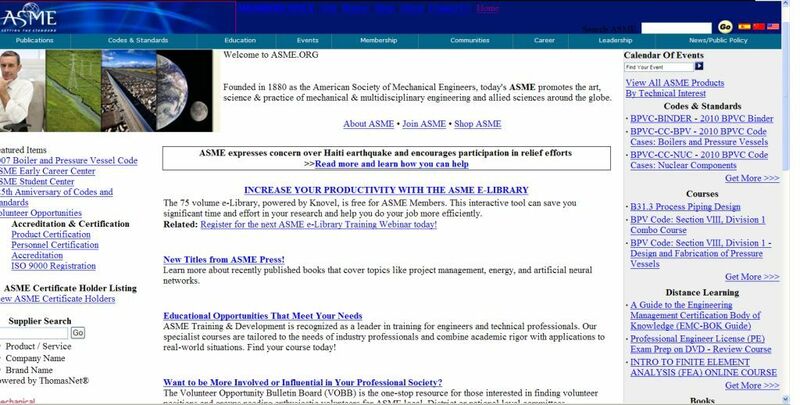 That was ASME’s website a year ago. 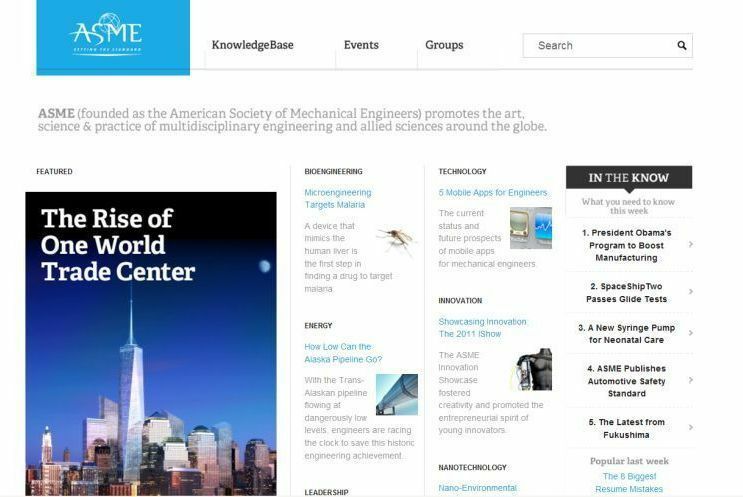 Now, if you had no idea about who or what ASME was all about, what would your impression of the society be? Having been introduced to ASME about a year ago, being the engineer I am, I decided to go check it out online. What I found was an un-navigatable mess of data and text that gave me no clear indication of what they actually did! And boy, was it ugly! Why Do Engineers Hate Marketing? I just love the writer’s ten reason’s engineers don’t respond to regular marketing ploys. 4.Engineers like to find you through their own research (this should be a clue for marketers!) This is an incredibly interesting point. And a major difference between engineers and plant managers, I’ve noticed. 5.Engineers don’t buy on emotion Ok, I admit. Books and shoes are my one guilty weakness! I just cant help myself at a book sale…but I suppose I don’t buy because of marketing. I buy because I just HAVE to have them!! 7.Engineers despise telemarketing (even more than you do!) You would not believe how true this is!!! Which reminds me, I think it may be time for another Engineer Joke of the Week! Basically, we’re trained to quickly weade through a lot of information and extract only what is absolutely necessary. We dont see that outside technical and academic engineers circles-the real world-where selling your product/ service/ idea is the only way to succeed, the stuff that we’re programmed to see as unimportant, is actually VERY important. “In marketing we are taught to sell the ‘sizzle’-not the steak. Its what consumers respond to, its how we grab and hold their attention! I can attest to this. 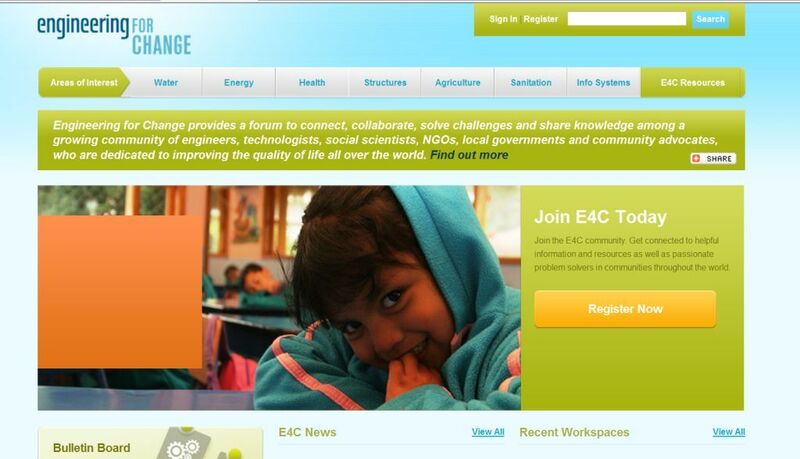 The Engineer-Chic blog used to be green and had random articles that had no real theme. Once I realise who my target audience was and formed an ‘image’ suited to that, my readership increased…a lot! And? What do you think now about the society? Would you believe now that this is the largest mechanical engineering society in the world? With 120, 000 members in 150 countries worldwide? Its clean, easy to navigate and attractive without being unnecessarily flashy or fancy. Its epitomises functionality without being boring. I have to say, I love it. Wll done ASME! Take a look at another website I absolutely love. Notice how well-suited the colour-scheme is, and the use of emotive imagery and wording. What we don’t realise is the effect all of this has on us without us even realising it! This is one area that WOMEN are naturally very strong in. Even us engineering ladies have an eye for design, colour and form. But more on this in my next post *wink*!